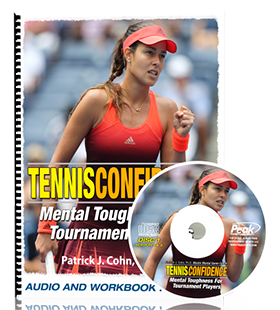 Do you try to hit perfect shots and can’t handle imperfection during play? If you try to play a perfect game, you most likely sabotage your mental game with high expectations for your performance. 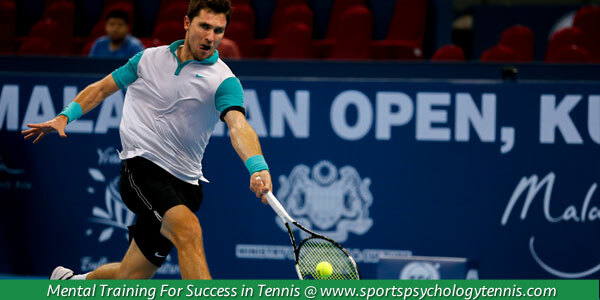 Your high expectations can backfire and have a negative effect on your tennis mindset. Most of the time, your high expectations cause you to become upset or frustrated when you under perform. And this leads to a loss of confidence or trying even harder in the match. Trying too hard can be a tennis player’s worst enemy. When you try too hard, you tighten up, lose control of your shots and get down on your self. Roddick knows that his best tennis performance is somewhere in between trying too hard and winging it. 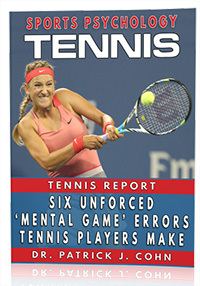 When Roddick finds this “happy medium” he’s able to perform his best, which is typical for most players. Tennis players who try to be perfect and don’t have trust in their skills focus too much on trying to fix what may not be broken. Do you ever over-coach yourself through the match? Coaching yourself will not make things better and can make matters worse. You start to over control or guide your shots, hoping they go where you want them to go. The reality of coaching yourself is this: Your mind tries to control your body. Your body gets too many messages and doesn’t perform freely. The bottom line: Turn off your trying mind and allow your body react to the ball. Less self-instruction is better. Roddick is also in tune with his negative emotions on the court. His mind used to be preoccupied with winning every point during the match. When he didn’t achieve this expectation for this performance, he would become frustrated. In the past and even today, that frustration can cause him to lose control of the match and the mistakes start to snowball. Today, Any Roddick’s new attitude understands that getting upset, angry or frustrated doesn’t help him win matches. What will help Andy Roddick win the match? Staying composed after mistakes will allow him to grind out the match. You too can improve your game by staying composed during the match. Mistakes are part of the game. Apply the Tiger Woods 10-second rule. Give yourself a few seconds (about 10 or less) to process the point and then let it go. Turn your back to the net and after 10 seconds, you have to turn around and face the next point. Errors can only hurt you if they compound themselves due to a loss of composure.